The Island House hotel is located in the heart of South Beach, Florida on Collins Avenue. It offers 24 smoking & non smoking well appointed guest rooms with kings, queens, or a combination of king/queen bedding, cable TV, walk-in closets, private bathrooms with hair dryers and separate dressing rooms. Some guest rooms offer complete kitchenettes, others have refrigerators. The hotel also offers several services such as Wireless internet access is available from our tropical patio. Complimentary Full American Breakfast is served daily in a casual atmosphere. Complimentary weekend Manager s Happy Hour, complimentary use of beach towels, chairs and umbrellas. 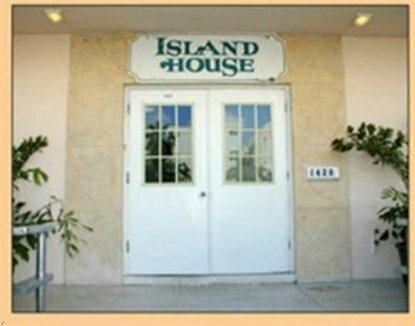 The Island House also provides concierge services, personal friendly service, masseuse on call by appointment.